The Athens ISD Board of Trustees voted this afternoon to go to a 4-day instructional week for the 2019-2020 school year. “The Athens ISD Board of Trustees is committed to serving the educational needs of our students by hiring and retaining teachers of exceptional quality. We believe that the proposed new four day academic week will uniquely allow our District to accomplish this goal since the best teachers are vital to learning,” said School Board President Rob Risko. Only Board Member Gina Hunter voted against the move. Sheriff Botie Hillhouse Wednesday said evidence indicates the homicide south of Chandler Monday was not a random shooting, and he reported the father has died. He said his Office has received calls from people who are worried that this shooting was haphazard. “The evidence shows this was a deliberate act,” he said. 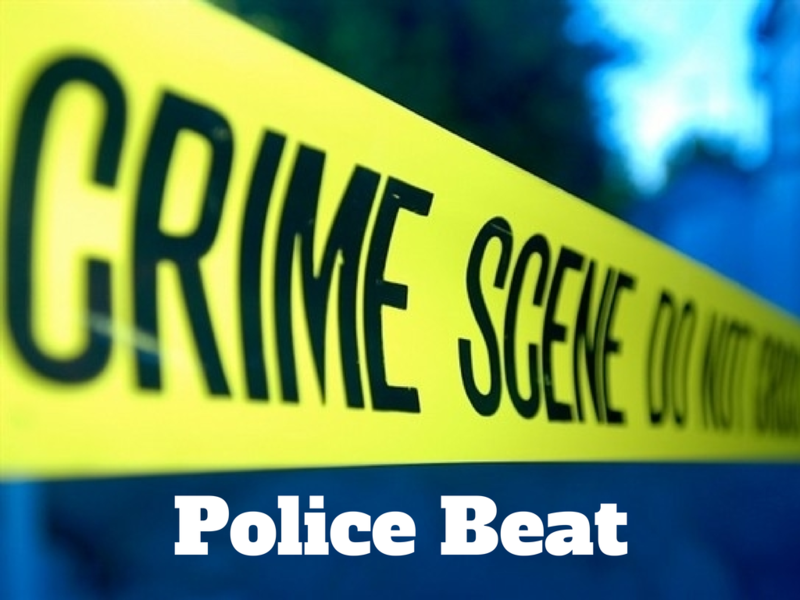 On Monday, 17-year-old Beverly McBride was found shot to death in her home in the 20000 block of Woodridge West south of Chandler. Her father, Gabriel McBride, 46, was found in the mobile home as well with a severe gunshot wound to the head. He was airlifted to UT Tyler hospital and was pronounced deceased Tuesday night. Hillhouse said an autopsy will be conducted, as it was on his daughter, to gather further evidence. The Henderson County Sheriff’s Office, Henderson County District Attorney’s Office and the Texas Rangers are working the homicide case. The Malakoff Tigers fought off another schedule change, bad weather and a strong second half by Atlanta to beat the Rabbits, 37-22, and earn the school’s second Regional Championship Saturday afternoon. Malakoff broke out to a 21-0 lead behind a dominating ground game and led 31-6 at the half. The Tigers never led by less than 15 throughout. Here are my 10 Observations from a second-straight Saturday afternoon game. — Nothing has come easy for the Tigers this year. The schedule has been made up on the fly because of bad weather and at times the roster has been the same way because of injuries. The Tigers have had multiple chances to fold and nobody would have blamed them if they did. Instead, they keep finding ways to stay together and win. One week it is pounding the ball on the ground, the next week it is big plays in the passing game, and always the defense getting a stop when it needs one. You expect incredible effort from a team when you get to this stage in the playoffs, but the mental toughness now being displayed by the Tigers was forged throughout the season and might be the most impressive thing about this run. — Tough football equals physical football, and that’s what Malakoff played Saturday. The Tigers gained over 400 yards on the ground, according to my unofficial stats. We’ll get to the running backs, but first let’s give the offensive line its props. They have been the dominant unit in this playoff run, I believe. — Malakoff had three running backs with runs of 20-plus yards and a combined 11 runs of more than 10 yards. R.J. Carr in his first game since the second week of the season had 179 yards rushing and two touchdowns, Keevie Rose had 126 yards and two touchdowns, and Darion Peace had 92 yards and a touchdown. — Did you see both R.J. Carr and Darion Peace have runs where they hurdled over Rabbit defenders? Also, Carr ran out of his shoe on his 39-yard run in the first quarter. — The Malakoff defense was outstanding in the first half, holding Atlanta to just over 100 yards of offense and 6 points. And although the Rabbits were able to break off a couple of big plays in the second half, the Tigers stopped Atlanta on a big fourth down late in the game when D.K. Rose and Colby Rush tacked the Rabbit quarterback short of the sticks. — The Tigers couldn’t have asked for a better start to the game. Malakoff’s Caleb Adams blocked Atlanta’s first punt attempt, setting up the Tigers first touchdown. Then on the next possession, Nathan Jones intercepted the Rabbits to set up Malakoff’s second score. That 14-0 lead came about 5 minutes into the game and buoyed the Tigers throughout. — I have to give a shout out to Malakoff senior lineman Kyler Dalrymple. You don’t often notice linemen unless they do something wrong, but I saw Kyler show exactly the character you want from a football player on two separate plays Saturday. Early in the game, he showed sportsmanship when he stopped to help an Atlanta player fix his jersey. Later in the game, during the Rabbits’ last gasp, Kyler broke through the line and hit the Atlanta quarterback just as he was throwing the ball, causing it to flutter high in the air. Malakoff wasn’t able to come down with the interception, but it was still an excellent play by Kyler. Sportsmanship, aggressiveness and toughness; yeah, that will win you a lot of ball games and make you proud at the end. — Next up for Malakoff is Brock. The game is tentatively set for 4 p.m. Friday at The Star in Frisco. If you noticed busier restaurants, more traffic and a lot of out-of-town school buses last week, there was a reason for that. Athens High School Head Boys Basketball Coach Cliff Thompson successfully spearheaded a three-day invitational basketball tournament that brought hundreds of people to town from Nov. 29-Dec. 1. Twenty-eight varsity girls and boys teams competed in 63 games over the three-day period, which brought not only players, coaches and officials to town, but parents as well. Local McDonald’s owner and Athens Economic Development Corporation Board President Jeaneane Lilly reported the number of customers at their store increased an average of 21 percent over the three days of the tournament as compared to the previous year. That increase is particularly notable given the addition of two nearby competing restaurants that did not exist in 2017. TYLER — The Malakoff offense shook off a lackluster start to turn a 7-7 halftime score into a 35-7 win over Gladewater in the Region II Semifinal Saturday afternoon. 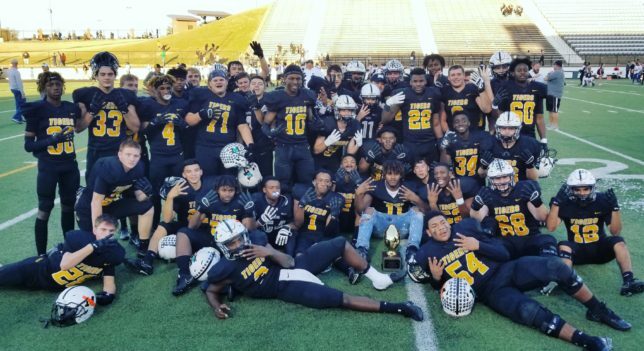 Malakoff got a spark from running back Dedric Davis in the third quarter and big plays from Andreas Garrett to turn things around offensively, while the defense was able to stand toe-to-toe with the Bears and shut them down. The win puts the Tigers into the Regional final for just the second time in school history. Malakoff will be taking on Atlanta 7:30 p.m. Friday, Dec. 7, at Pine Tree ISD.